Allow me to introduce myself. 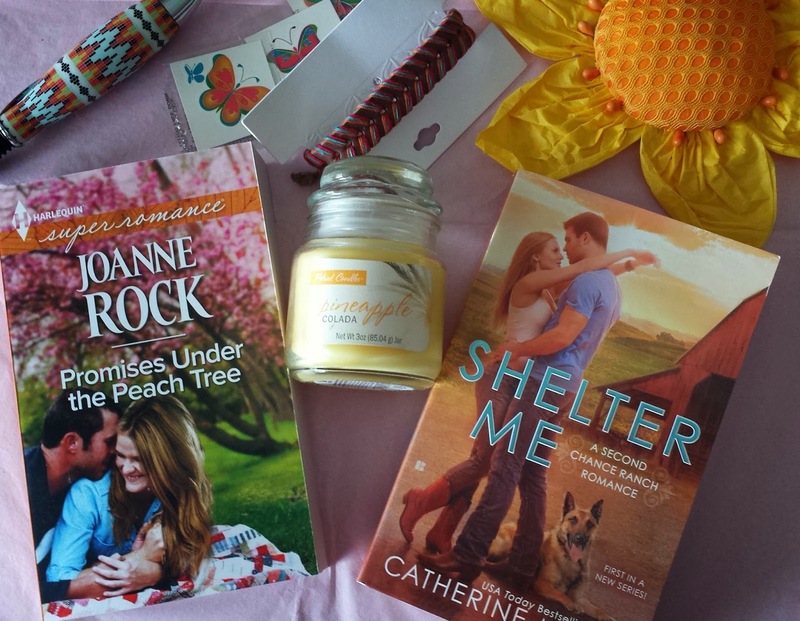 I'm Joanne Rock, a new-to-Superromance author but a long time Harlequin writer. Most recently, I've been in the Blaze line where I once rubbed elbows with other stellar Superromance authors like Sarah Mayberry, Jeannie London, and Dawn Atkins. Before that, I did some Harlequin Temptations where I got to meet the now-Super Kathleen O'Brien and Jamie Sobrato. 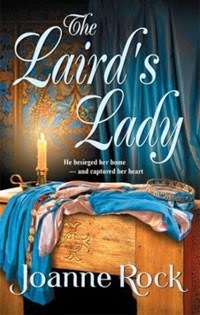 I've also ventured back in medieval times for the occasional Harlequin Historical, although I may be the only current Superromance author who took that particular path. My point is... I'm no stranger to romance! I love the whole big genre and I read it widely from paranormal to YA and on to lots of contemporaries. I like to think that love stories are my language. They resonate with me and they are the stories that I'm most interested in reading about and telling. But once that criteria is met--ie, give me romance!--I've never met a subgenre I didn't like. The really appealing thing for me about Superromance is the longer length and the need to tell a lot of story. Yes, the stories are more emotional and complex. But there's also room for a peek into other characters's lives beyond the hero and heroine. I really love that part. 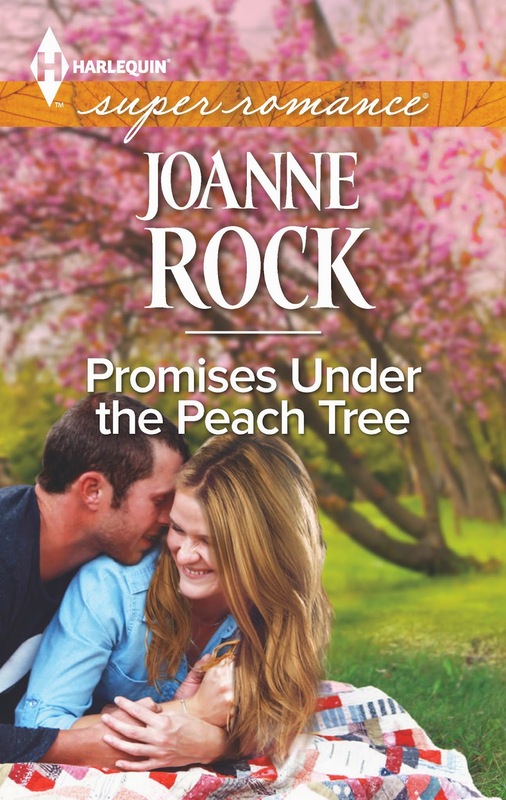 In my debut for the series, Promises Under the Peach Tree, I got to explore a story line for the hero's teenage niece. I also got to check in with the hero's brother now and again to give glimpses of his marital struggles. Those elements of the story make the world so real for me. Because as much as we'd like to live in a vacuum while we are falling in love (it's a wonderful place to be, after all), that simply doesn't happen. Our worlds connect with so many others, and their stories all have an affect on ours. In Superromance, we get to bring that whole world to life. I had so much fun writing this book that I wanted to spend some more time in the story world--the fictional small town of Heartache, Tennessee. I wrote a follow up that will be out in April 2015. And after that, I still couldn't leave! I'm writing the third Heartache story now. I just hope you like the world as much as I do. I'm looking forward to spending more time here--on the blog and in the series--in the months ahead. I look forward to hearing from you and finding out about the kinds of stories you love best. Don't be shy... hop on the blog and wave hello so I can feel like I had a good first day of school! While you're at it I'd love to know what you enjoy most in a Superromance. The realistic emotions and conflicts? The longer length? Or do you like seeing a certain author's name on the cover-- like the fantastic Tara Taylor Quinn? Share with me on the boards today and I've got a fun prize package for one random poster. (See pic!!) Winner announced on this thread on Friday. I enjoyed reading your post Joanne! All the best! Congratulations on your new book I can't wait to read it. I love the super romances because of the longer length, all the stories are so good and like real life. I been buying them since they first came out in the 1980's. Both of these books have been on my radar. I'm a fan of the realistic emotions/relationships/conflicts. Congrats to you both!! I'll be crossing my fingers!! Wonderful blog Joanne.... I do love the longer length, and love how the feel of the story's is real... The real life struggles.. The "yes, this could be you" kind of story!... And oh the love!!! I love SuperRomances! The settings are better than real life. Congrats on the new book, Joanne. Congrats on your first Superromance! Can't wait to read it. By the way, your "One Man Rush" is still one of my all time favourite Blaze books. Just the other day I finished "Sara's Son" by Tara Taylor Quinn and I still can't stop thinking about it; and that's probably what I like most about these books: they are unique, refreshing and they stay with me for a very long time. Thank you for sharing. Love Harlequin. Hi Joanne. Congratulations on your new book. I read a lot of Super Romances as I enjoy the longer stories with secondary characters. I also enjoy the fact that I'm reading about people who could actually be my friends in real life. Lots of them sharing the same worries and problems as I do. So far it feels like a good first day of school!! Thank you so much for all the welcoming posts and I appreciate you stopping by. Colleen Collins, I forgot to mention you as one of my former sister-authors in another line. Glad to see you here! Natalija, I'm so flattered you love One Man Rush. Thank you! I will admit a strong love for sports heroes :-). It's always exciting when authors you love to read have a new book out. I do think the anticipation makes the reading even more fabulous. Very exciting and congratulations to all. I've enjoyed your Blaze books so I'm looking forward to trying your Supers as well. The realistic emotions and more down to earth quality is definitely my favorite thing about them. Congrats on the new nook. It is exciting I'm sure. I do love romantic suspense and paranormal. I have been reading scifi romance a lot lately. I've always enjoyed your historicals and I will be looking forward to your SuperRomances. Congratulations! Congrats, Joanne! Great to see you here! I like the little-bit-longer stories that aren't as long as historicals but aren't as short as most others. It gives the writer a chance to develop the main characters a tad more, as well as several of the secondary characters - who may very well end up in their own books some day too! I don't buy books based on their covers, but I must admit that I DO like Superromance covers. They are ... um ... relaxing! They give me an "ah" feeling, I guess. Well, I'm just beaming from the warm welcome :-). Thank you all so much for dropping by to root on my first HSR. It's been a fun journey to this point and now I get to share it. I'm going to post a winner tomorrow as a TGIF hurrah! Thank you, Alyssa and all!! I really appreciate the warm welcome and look forward to visiting often. I've got a winner for the thread prize-- Cyndi F, congratulations!! I'm messaging you privately, but all you need to do is send me your mailing addy to jrock008@gmail.com and I'll put this prize package in the mail ASAP! Have a wonderful weekend!